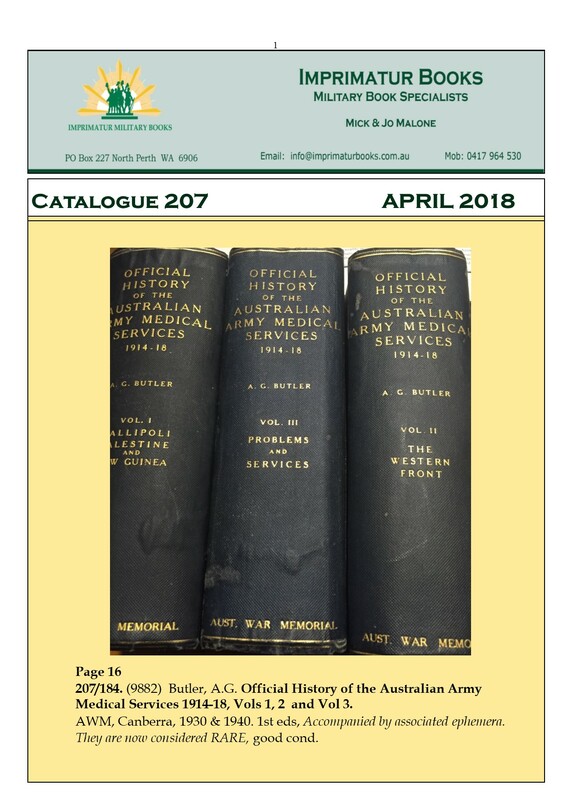 Welcome to Catalogue #207 April 2018. Apologies for missing my March list but we were a little distracted here at Malone command central with weddings (this time Sydney) and various other activities – cricket notwithstanding. The first days of April bring with it the first cool evenings of autumn and preparation for Anzac Day – the one day of the year. This year marks the 100th anniversary of the Battle of Villers-Bretonneux and brings back memories of our own trip to the Western Front in 2008 for the first dawn service at Villers-Bretonneux with the Villers-Bretonneux Cross and choir from St George’s Cathedral in Perth – seems like yesterday!